betrays a guilty, greedy voice within. between yours and Toadball’s border defence? and you want to keep those Muslims out. high on hate, you’re off your face. land thieved by England’s brutal throne. July 2016, Post Federal Election. Howard had toned down his anti-Asian racism in deference to business concerns. But Hanson helped create a climate that enabled him to carry out policies in the interests of the ruling class that meshed happily with his own prejudices and which he would have pursued anyway: the attacks on land rights and native title; the abolition of the Aboriginal and Torres Strait Islander Commission (ATSIC); cuts to immigration, especially family reunions; the ramping up of Islamophobia using the pretexts of “border security” and the “war on terror”. Howard’s attitude to Hanson eventually changed for two reasons. First, he was the target of sustained criticism from sections of the media, the small-l liberal middle class and even some ruling class figures – prominent businesspeople and Liberal politicians like Victorian premier Jeff Kennett – for not taking a stronger stand against Hanson. This was a product of their concern about Australia’s international image. Hanson was receiving a great deal of media attention in Asia, and as with Howard’s anti-Asian comments in 1988, they were worried about the potential damage to Australia’s business interests and ability to play a dominant role in the region. Second, and probably of greater concern to Howard himself, Hanson began to cohere a movement and set up an organisation, the One Nation party, that posed an electoral threat to the traditional conservative forces. South-east Queensland has a high concentration of small farmers, and numerous small towns with a large number of small businesses – newsagents, petrol stations, real estate agents, pharmacists, accountants, farm equipment suppliers – but very few large workplaces with concentrations of unionised workers. 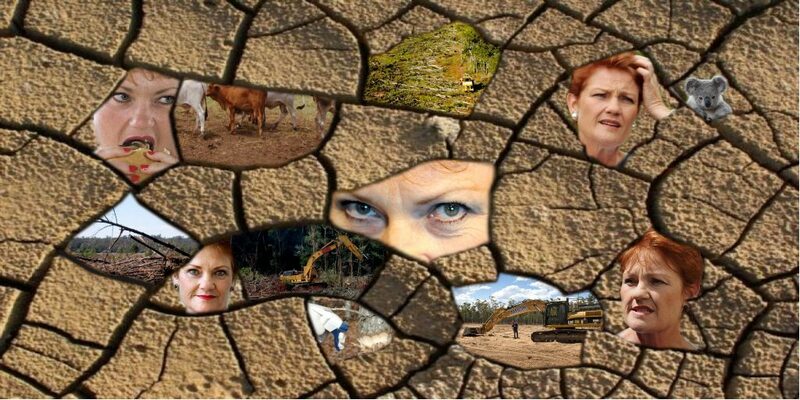 The role of mass protest in the decline of support for Hanson, however, has been understated if not completely ignored. Indeed, there has been no account that I have been able to find of what was one of the most militant and sustained protest movements of recent times. Yet it was an important factor, playing a crucial role in preventing the growth and organisational consolidation of One Nation. There was widespread opposition to Hanson from the outset. Many in the business community were alarmed by Hanson’s anti-Asian policies – not because they opposed racism, but because it was bad for business. This became clear when the Business Council of Australia, along with the Council of Social Services, religious leaders – and, disgracefully, the ACTU – issued a joint statement which condemned her stance on Asian immigration but ignored her equally vile racism towards Indigenous people. This was no oversight: anti-Aboriginal racism was the basis of the business community’s campaign against native title. Small-l liberals generally saw Hanson as dangerous. But they too were more concerned about the national interest and Australia’s international image than with the impact of racism on immigrant and Indigenous communities. Like Tony Abbott in more recent times, Hanson was considered to be an embarrassment. But there was also a groundswell of revulsion and opposition from what Robert Manne might call “ordinary people”. From the moment Hanson made her maiden speech, people started mobilising against her. Everywhere she went she had to run the gauntlet of protesters.